In the NF Midwest region no one is left to fight alone. NF Midwest is dedicated to ensuring that NO ONE in the Midwest living with the complicated disorders of NF1, NF2 or schwannomatosis FIGHTS ALONE. We have a dedicated social worker for adults with NF and for families. We provide tools to meet others and to build a community of support. 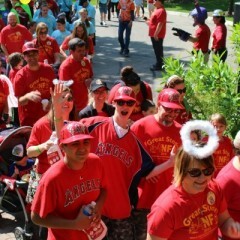 We also fund kids to go to camp and provide academic scholarships to adults with NF. NF Midwest’s NF Navigator program provides the assistance of a dedicated social worker to improve the ability to cope with issues related to NF and to improve the quality of life. NF Midwest provides free packets of information on neurofibromatosis to new families and adults. People can sign-up under contact us to receive a free packet. 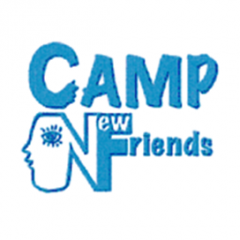 NF Midwest provides funding for camp tuition and travel for children with NF to attend Camp New Friends. NF Midwest awards $1000 scholarships to eligible adults with NF or schwannomatosis. NF Midwest provides opportunities for NF adults and families to learn from and share with others. We work with volunteers to form NF communities for support and to raise awareness through out the Midwest. NF Midwest is very active with the NF community online. We monitor connections carefully and look for opportunities to bring people together. Various events are put together by NF Midwest and our supporters to bring people together for support, and also for raising awareness and funds. NF Midwest is a wonderful resource for us right here. They raise funds for local research clinics. They provide excellent NF informational packets and web based educational programs so people with NF in their lives can learn about the newest medical information and research discoveries about NF. They organize many fun events throughout our area for adults, children, and families to enjoy, to meet others, to share their story, and find support through friendships made. NF Midwest, as a smaller more local foundation, can provide support in a more personal way that is also very important to our well-being and hope.